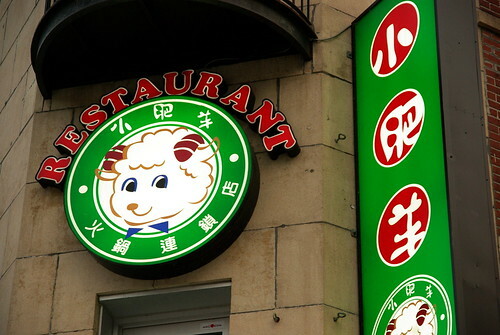 小肥羊 (Xiao Fei Yang), the Mongolian hot pot restaurant in Montreal, is in fact a chain in China. 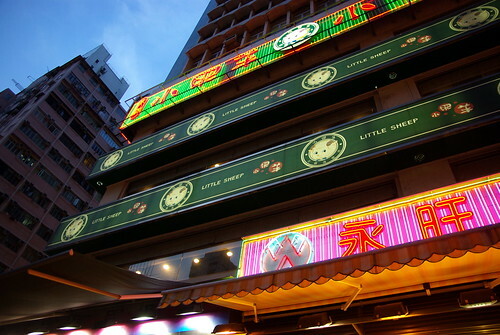 Known as “Little Sheep” in English, it is a well-known brand in China, one that is marketed as an upscale hot pot place. 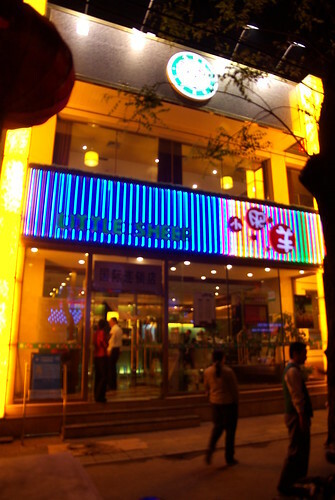 In contrast with Montreal, xiao fei yang is not an all-you-can-eat in China. 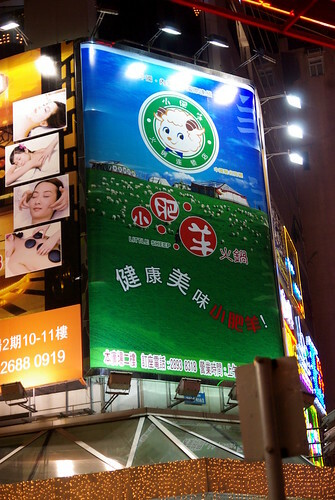 The first picture (here above) is that of the Mong Kok branch of Xiao Fei Yang in Hong Kong, located on premium land. The first one that I encountered was one of Beijing’s Xiao Fei Yang, on Guijie. The guy at the bottom right of the picture is the parking valet! The next was one in Causeway Bay, Hong Kong. I almost ate there a few times, after running out of ideas for restaurants to eat at. Given that it was roughly 30 degrees Celsius each time, I promptly shook the envy off. 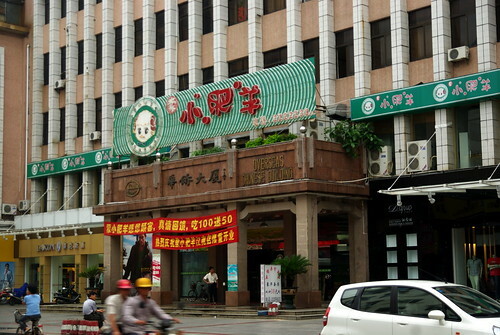 The most surprising place to find a Xiao Fei Yang was in Kaiping (开平), a five-minute walk eastward from the city’s main bus terminal. Kaiping, also known as “Hoiping” in Cantonese, is a town of 700,000 souls, roughly 4 hours from Hong Kong by coach bus and/or speedboat ferry. The city might have UNESCO sites in its vicinity, but does every mid-sized city in China have its Xiao Fei Yang? would be happy to learn more about the representation of the restaurant over in Canada.